Dubai’s real estate sector is strengthening by the day and while the new laws are effectively curbing property flipping from the market, genuine demand is surfacing allowing property developers to launch demand oriented projects. The population of the emirate is also rising substantially and with new expats hailing from the mid-salaried class, the market is seeing an increase in demand of affordable properties. So for the accessibility of all the tenants and property investors in Dubai, we have picked out figures from our database to reveal popular renting localities in the emirate during H1 2016. For expats, apartments are the preferred category of residential properties in Dubai. Considering the figures for H1 2016, Dubai Marina received the most search hits (13%) by users looking for rental apartments in Dubai. 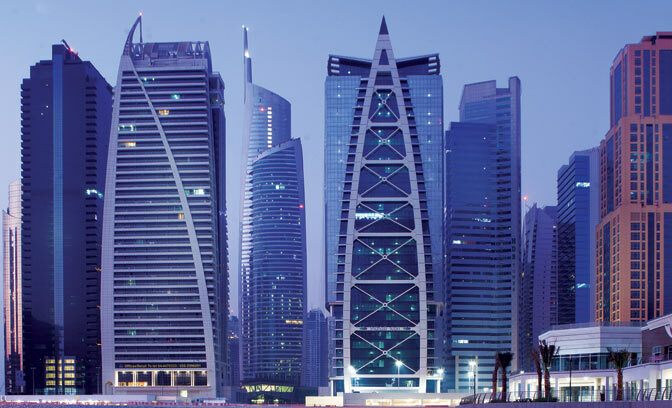 Securing the second spot on the list was Dubai Marina’s neighbour Jumeirah Lakes Towers (JLT) with 7% search hits. It was followed by Bur Dubai, a popular old locality known for quality residential spaces, which secured 6% search hits. With 5% search hits Downtown Dubai landed on the fourth spot while Dubai Silicon Oasis, a suburban locality, secured the fifth position with 4% of the overall search hits on Bayut.com for H1 2016. Villas are widely popular among families in Dubai. During H1 2016, we noticed villas category receiving a positive feedback from emirate’s residents with Dubailand remaining the most searched area for renting villas in H1 2016. After receiving 10% of the total search hits, the locality secured first spot on Bayut’s popularity list. Mirdif and Jumeirah followed, each securing 8% search hits and landing third second and third spots, respectively. Al Barsha secured the fourth position with 7% search hits and Arabian Ranches landed on the fifth after getting close to 6% of search hits for villas on rent. For renting offices in Dubai, JLT received 11% of all search hits to grab the first position on our list or H1 2016. The second spot went to Business Bay that received 9% share of all search hits. Al Quoz was the third most popular locality for renting offices in UAE’s capital and received 6% search hits from users visiting Bayut.com during H1 2016. The locality was followed by Dubai Marina and Bur Dubai, each securing 5% search hits during the first six months of the current year..